Anger, frustration, fear, and other "negative emotions" are all part of the human experience. They can all lead to stress and are often seen as emotions to be avoided, ignored, or in other ways disavowed, but they can actually be healthy for us to experience as well. A better approach is to manage them without denying them, and there are several reasons for this. The idea of "managing" negative emotions is a complex one. It doesn't mean avoiding feeling them—avoidance coping is actually a form of coping that attempts to do this, and it can often backfire. It also doesn't mean letting these negative emotions wreak havoc on your life, your relationships, and your stress levels. Unmanaged anger, for example, can compel us to destroy relationships if we allow it to. Managing negative emotions is more about embracing the fact that we are feeling them, determining why we are feeling this way, and allowing ourselves to receive the messages that they are sending us before we release them and move forward. (Yes, that statement may sound a little odd, but our emotions are definitely designed to be messengers to tell us something, and these messages can be very valuable if we listen. There will be more on this later.) Managing negative emotions also means not allowing them to overrun us; we can keep them under control without denying that we are feeling them. When we talk about so-called negative emotions, it's important to remember that these emotions, in themselves, aren't negative as in "bad," but more than they are in the realm of negativity as opposed to positivity. Emotions aren't necessarily good or bad, they are just states and signals that allow us to pay more attention to the events that create them, either to get us motivated to create more of a certain experience or less, for example. Unlike some emotions, they're not always pleasant to experience, but like most emotions, they exist for a reason and can actually be quite useful to feel. How Do Negative Emotions Affect Us? Anger, fear, resentment, frustration, and anxiety are emotional states that many people experience regularly but try to avoid. And this is understandable—they are designed to make us uncomfortable. These negative emotional states can create extra stress in your body and your mind, which is uncomfortable but also can lead to health issues if the stress becomes chronic or overwhelming. Nobody likes to feel uncomfortable, so it is natural to want to escape these feelings, and the dangers of unmanaged stress are real. However, there is a feeling that people sometimes have that these emotions will last forever or that the feelings themselves are the problem. More often, these feelings are beneficial because they can also send us messages. Anger and anxiety, for example, show that something needs to change, and perhaps that our well-being has been threatened. Fear is an appeal to increase your level of safety. Resentment motivates us to change something in a relationship. Frustration does as well. Basically, negative emotions are there to alert us that something needs to change and to motivate us to make that change. Positive psychologists also argue that while there are many benefits to positive emotional states like hope, joy, and gratitude, there are also negative effects that can come from them. Optimism, for example, has been linked to many beneficial outcomes for health and happiness as well as personal success. Unchecked optimism, however, can lead to unrealistic expectations and even dangerous risks that can lead to loss and all of the negative feelings that can come with it. 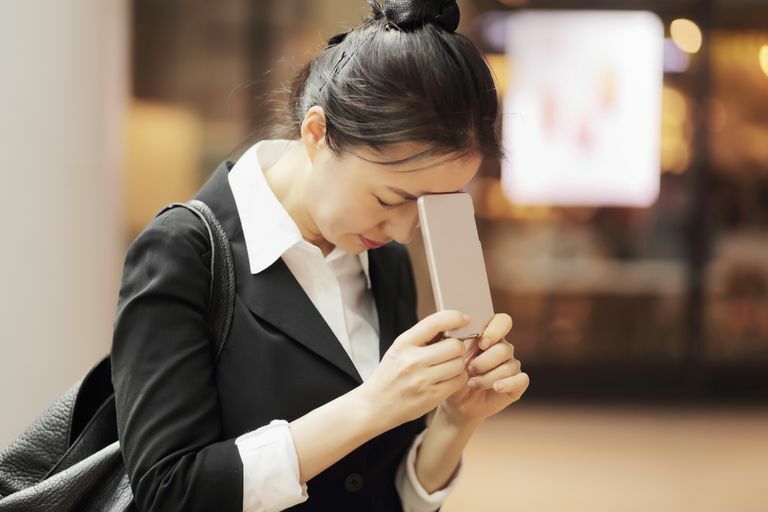 More uncomfortable emotional states like anxiety, however, can lead to motivation to make changes that can create more success and avoid danger. This is part of why it is important not to ignore our negative emotions—they are designed to keep us safe and to motivate us to improve our lives, just as positive emotions are. The field of positive psychology is experiencing a "second wave" of research that is focused not only on what makes us happy, resilient, and able to thrive but also on the dark side of happiness. We've learned more, recently, about how our negative emotions affect us and what to do with them, and how we can remain emotionally healthy throughout the process. Just as there are benefits to negative emotions, there are detriments to "false positivity" where we shame ourselves for experiencing these natural states and try to deny them or force ourselves to pretend we feel more positive than we do. A better strategy is to accept and even embrace our negative states, while also engaging in activities that can counter-balance these uncomfortable emotions in an authentic way. T - Teach and learn. This means to embrace self-awareness and increase personal knowledge of your body and mind, and how they are responding to stress and other emotional states. This allows you to understand when you are upset and why, and be better able to interpret the signals your body is sending. E - Express and enable sensory and embodied experiences. This one sounds a little more complicated but it simply involves encouraging openness and curiosity within yourself to increase your acceptance of what comes. A - Accept and befriend. It can be highly beneficial to actively focus on increasing your own self-compassion and tolerance for frustration. R - Re-appraise and re-frame. You can use cognitive-behavioral approaches to see things differently. S - Social support. This can involve the practice of loving-kindness meditation, which can expand your feelings of connection to others and your self-compassion while you invest in relationships. H - Hedonic wellbeing/happiness; Research shows that it can be highly beneficial to have a 3-to-1 ratio of positive vs. negative emotions, meaning that you add positive experiences to your life, focus on happy memories and savor successes, for example, to increase the amount of time you spend authentically feeling good. O - Observe and attend to; Try to practice mindfulness and non-judgmentally attend to things in life. P - Physiology and behavioral changes; Focus on relaxation, breathing exercises, and self-care. E - Eudaimonia; This means to strive for goals in life and a sense of authenticity. There are other strategies that are recommended as ways to increase positive emotional states and personal resilience to stress and feelings of negativity so that negative emotional states don't feel as overwhelming. And because of the research on positivity, we know that this can be a beneficial thing in itself. Here are some additional strategies that can be used to cope with negative emotions. This involves envisioning—you guessed it—your best possible self and what that would look like. This exercise has been shown to lift mood and bring a sense of optimism, both of which bring lasting benefits. This can be done as a journaling exercise or simply a visualization technique, but basically involves envisioning your life in the future and challenging yourself to imagine the best possible life you can live, the best possible version of yourself that you can be. Research has shown that people who engage in this activity for five minutes a day for two weeks experience a more positive mood and an increase in optimism compared to people who spent the same amount of time simply thinking about activities in their day. For five minutes a day, this is a great use of time. This activity is popular with positive psychology students. It involves expressing gratitude to people who have done kind things for you, both minor and major. This could be a letter to an elementary school teacher who inspired you to be your best or a visit to a neighbor to let them know how much you appreciate knowing they are there. It can be any letter or personal trip and conversation expressing to someone what they have done for you, what it has meant to you and that you appreciate them. These activities bring great benefits to the people who are the recipient of the gratitude but have been found to bring lasting positive feelings to an even greater extent to the person expressing the gratitude. Most people who engage in this activity report that they still feel positive feelings from it days or even weeks later. Taking a "Personal Day"/"Mental Health Day"/"Daily Vacation"
This is like taking a staycation but it involves creating a day that's filled with positive experiences that you'd have on a vacation while minimizing the stress you'd have in your regular schedule. It operates under the same premise that the other positivity-building exercises follow—that an increase in positive emotional states can bring a greater sense of optimism and resilience—and it has the added benefit of minimizing stressors for the day. (This can offer a nice interruption from chronic stress and a chance to recover emotionally.) To do this, create a day filled with activities that you enjoy. Garland, Eric L.; Fredrickson, Barbara; Kring, Ann M.; Johnson, David P.; Meyer, Piper S.; Penn, David L. Upward spirals of positive emotions counter downward spirals of negativity: Insights from the broaden-and-build theory and affective neuroscience on the treatment of emotion dysfunctions and deficits in psychopathology.Positive Clinical Psychology Clinical Psychology Review. 2010 30(7):849-864. Lomas, Tim; Ivtzan, Itai. (2016). Second Wave Positive Psychology: Exploring the Positive-Negative Dialectics of Wellbeing. Journal of Happiness Studies. Vol. 17 Issue 4, p1753-1768. Sims, Ceri, (2017). Second wave positive psychology coaching with difficult emotions: Introducing the mnemonic of 'TEARS HOPE'. Coaching Psychologist, Vol. 13 Issue 2, p66.